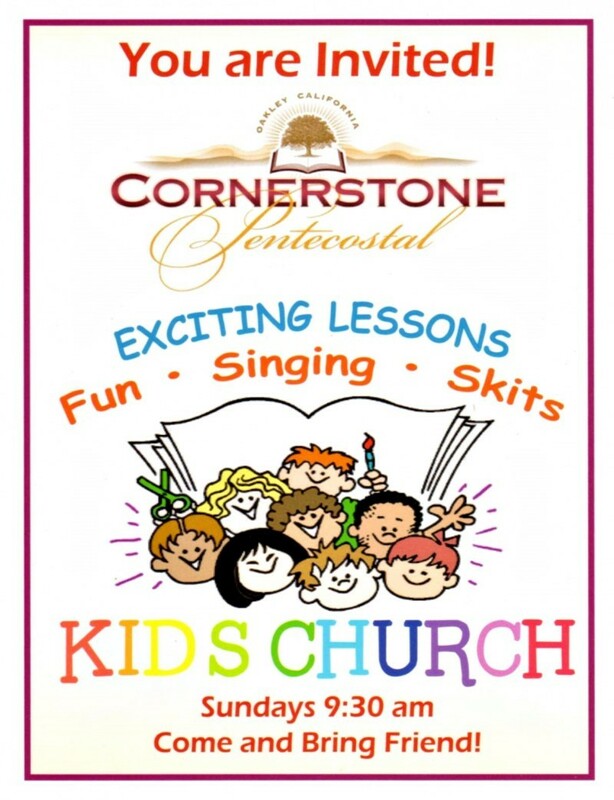 Our Kid's Church program is an exciting program that both reaches out into our community and provides instruction and confirmation of teaching provided within the families of Cornerstone Pentecostal Church. Every quarter a new "theme" is introduced to teach timeless truths and principles in a way that will engage young and old alike. 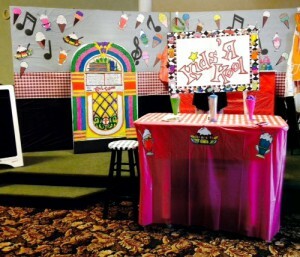 Stories, puppets, themed presentations, memorization, and songs all play a part in creating a fun and exciting place to learn! 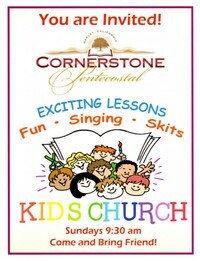 Come check out our Kid's Church program every Sunday morning at 9:30 am.